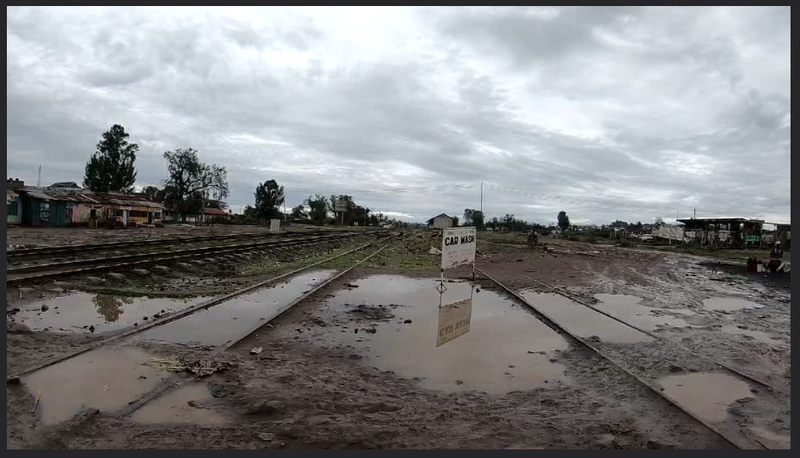 We start the next leg of the journey at Naivasha Railway Station. 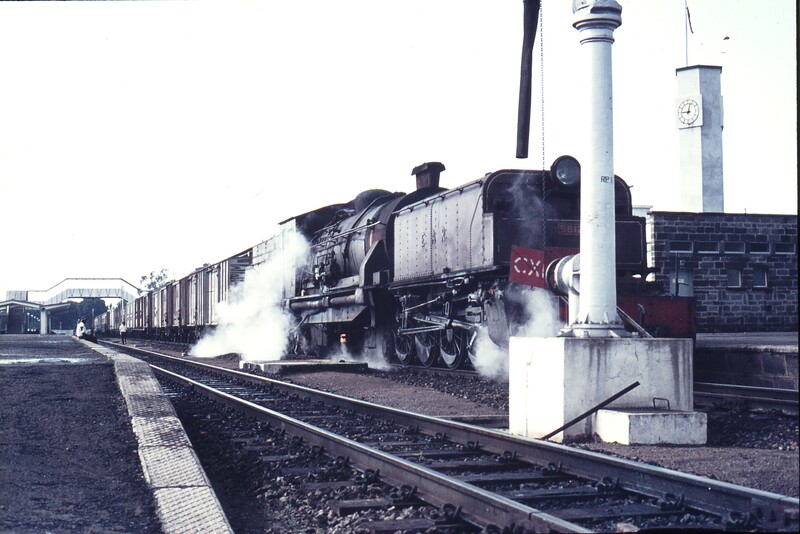 Class 30 2-8-4 No. 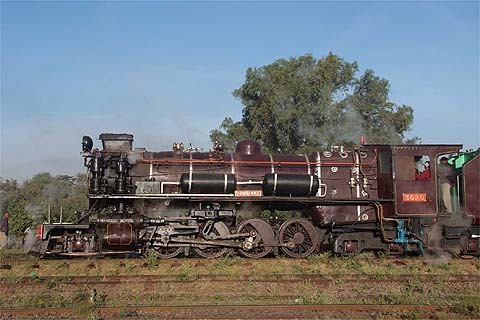 3020 “Nyaturu” (NBL 27466/1955) stands at Naivasha, it is one of three locomotives restored by Nairobi Railway Museum and was originally in use on the Tanzanian part of the EAR system. 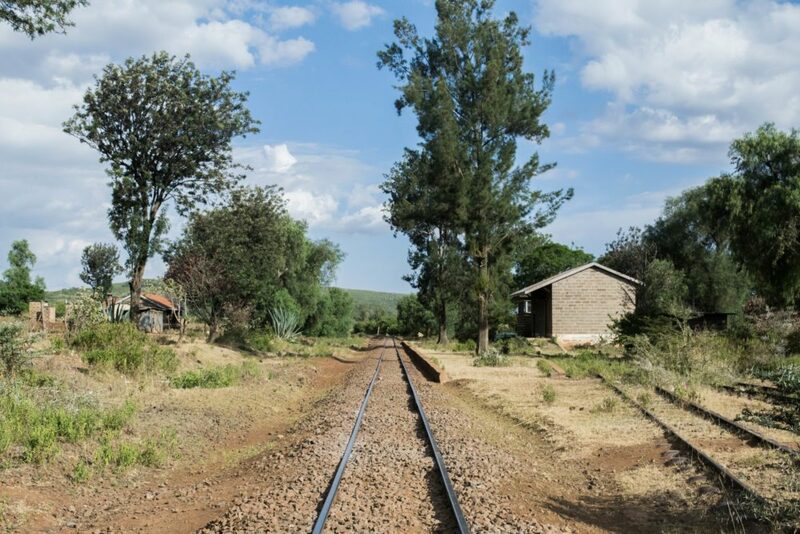 As we leave Naivasha, the railway continues in a north-westerly direction through Morendat Station, over Morendat River Bridge and through Ilkek Station to Gilgil. 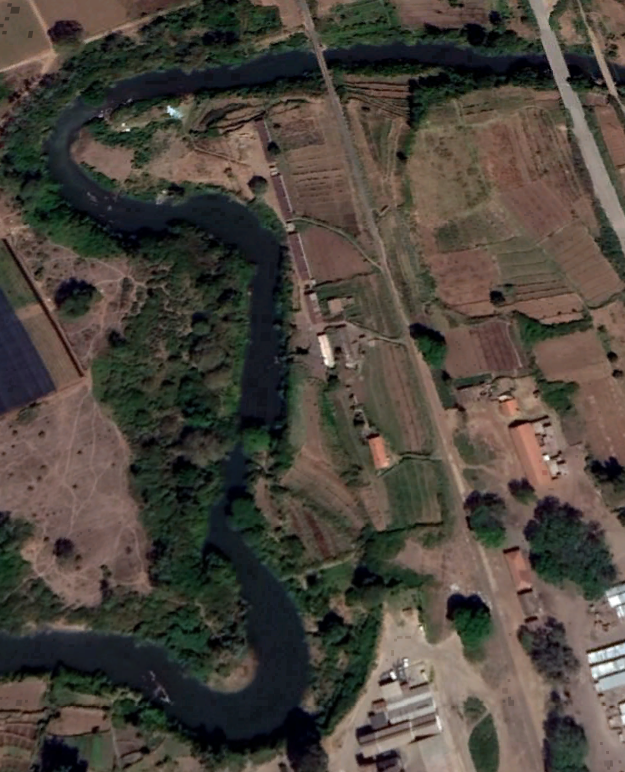 Morendat Station and River Bridge on Google Satellite Image. Ilkek Station. 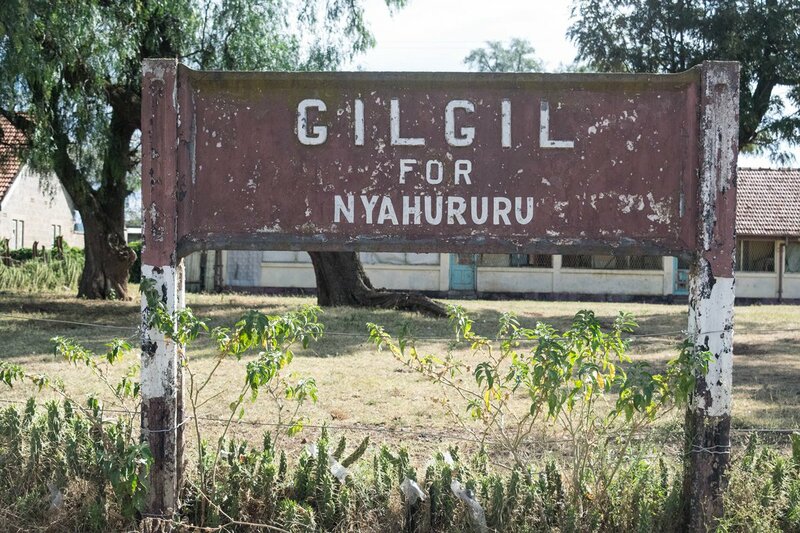 Gilgil is the first town after Naivasha along the line. 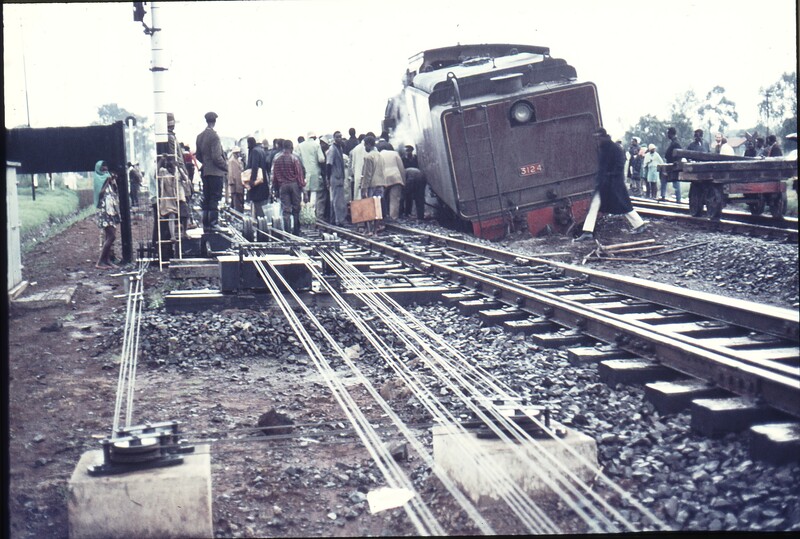 111464: Gilgil Kenya 3124 Chope Derailed – taken on 24th August 1971, (c) Weston Langford. 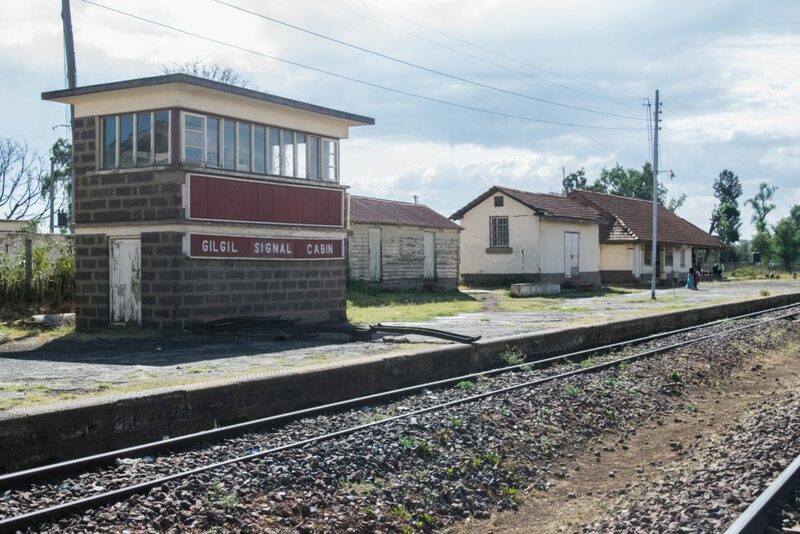 Three images of Gilgil Station seemingly abandonned in 2013 …….,, Gilgil was the junction station for the line to Nyahururu. 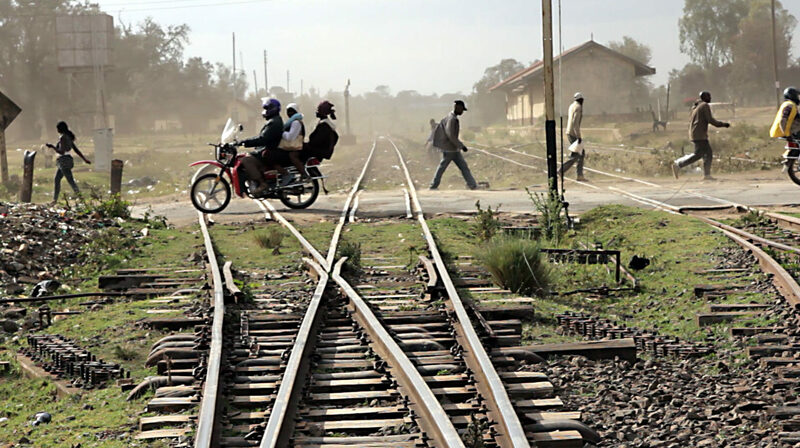 This branch ran through Oleolondo and Ol Kalou to reach Nyahururu, the branch terminus. 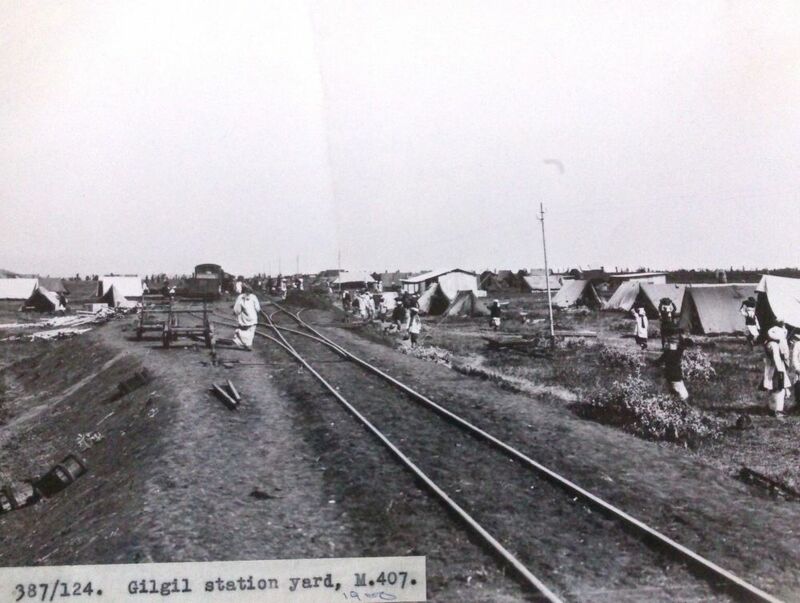 It left the mainline just to the East of Gilgil and followed what is now the C77 road from Gilgil. The line snaked around passing through Gilgil Golf Course and can be seen alongside the 4th hole of the 9-hole course in the image below. After the golf course the line swung away from the C77 to the south-east and then for a very short distance ran alongside what is now the D390 before turning to the north and eventually regaining a path a 100 metres or a bit more to the east of the C&7 running north towards Oleolondo where the line crossed the road at grade. 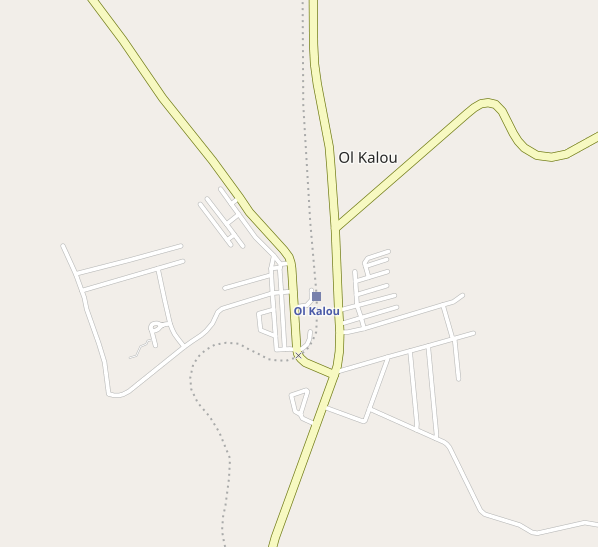 It conitnued to follow the C77 northwards but now on its west side until reaching a station halt at Ol Kalou. 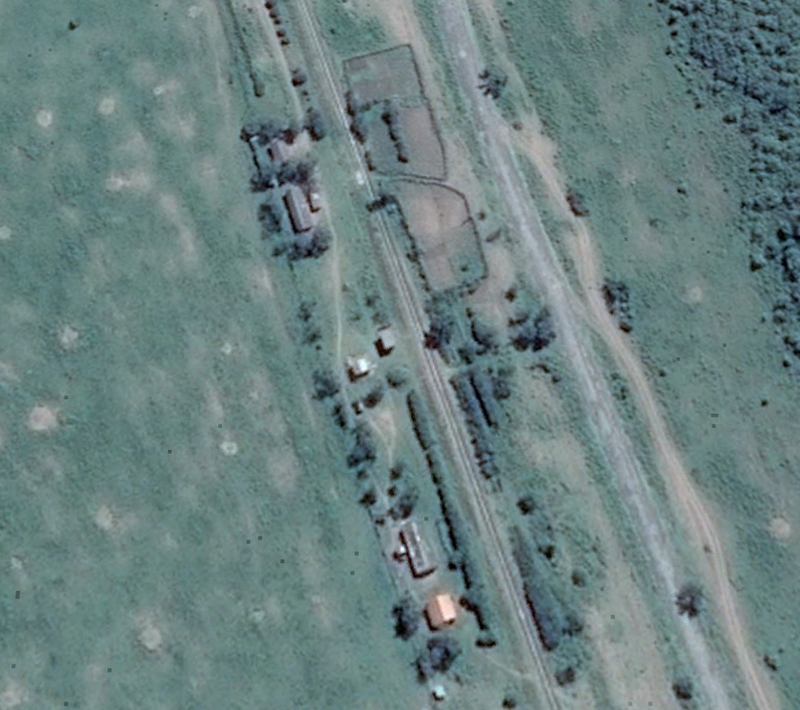 The old station site at Ol Kalou remains open and undeveloped as can be seen on the adjacent satellite images from Google Earth. 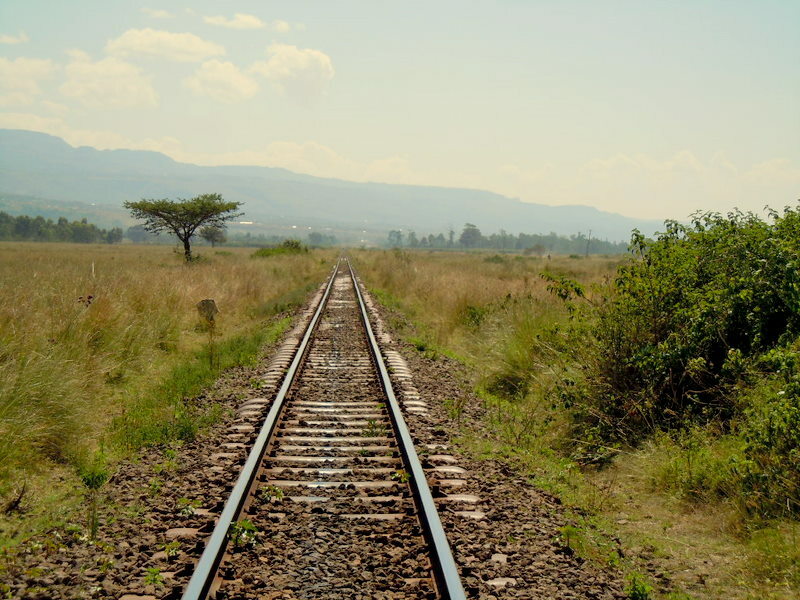 From Ol Kalou the abandonned line continued north alongside the C77, always within about 100 metres of it and then crossing over to the east side of the road a kilometre or two north of Ol Kalou before reaching its terminus at Nyahururu. 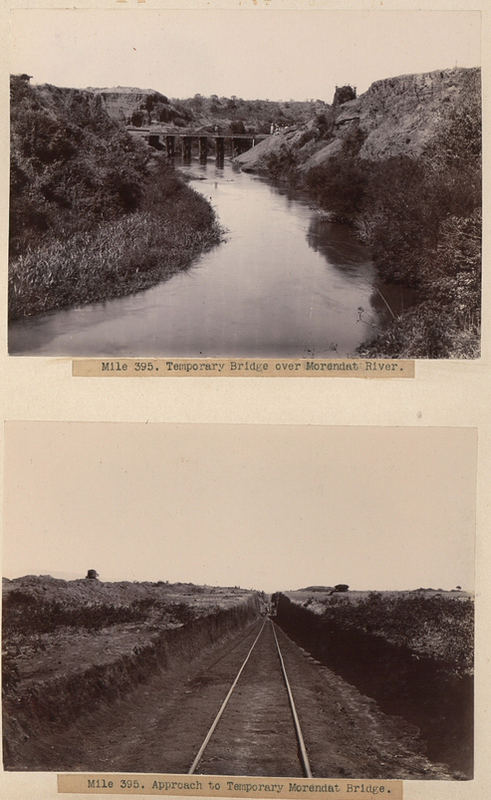 In the images above the tourist attraction which probably supported the branch-line while it was in operation can be seen – the Thompson Falls gave their name to the town in colonial times. 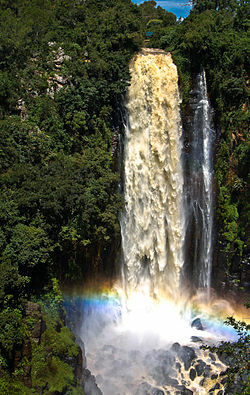 Nyahururu was founded as Thomson’s Falls after the 243 ft (74m) high Thomson’s Falls on Ewaso Narok river, a tributary of the Ewaso Nyiro River, which drains from the Aberdare mountain ranges. 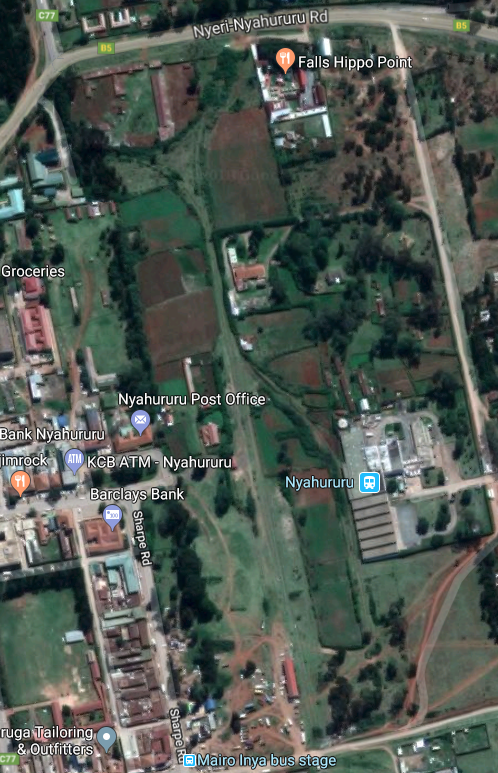 It is on the Junction of Ol Kalou-Rumuruti road and the Nyeri-Nakuru road. 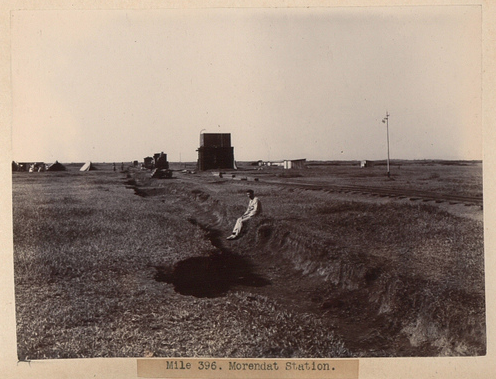 The town grew around a railway from Gilgil opened in 1929 (and now effectively abandoned). 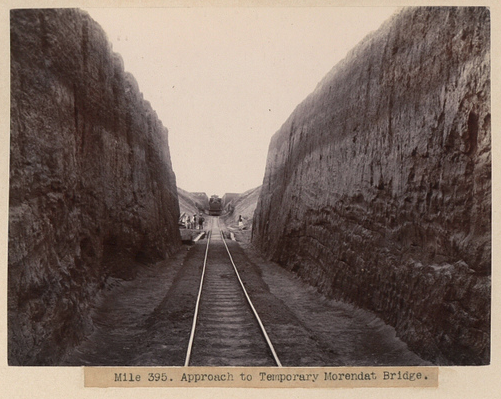 As well as providing access to a tourist attraction the line supported local industry. The town was once an important player in the timber milling industry, and the now defunct National Pencil Company had a factory there. It is also an important milk processing hub. 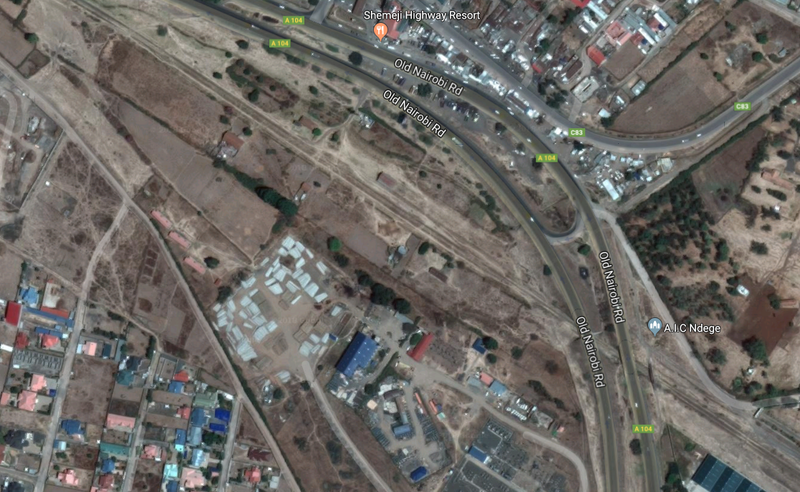 The map and satellite image show the location of the railway terminus and the turning triangle for locomotives. 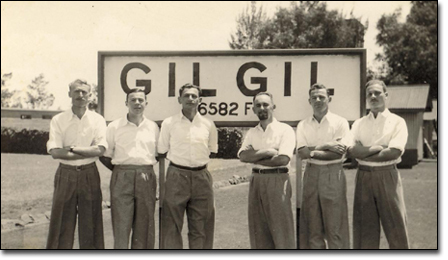 We return now to the mainline and travel on from Gilgil. The next station on the mainline is Kariandusi. Kariandusi village is a settlement in Nakuru County, Kenya. 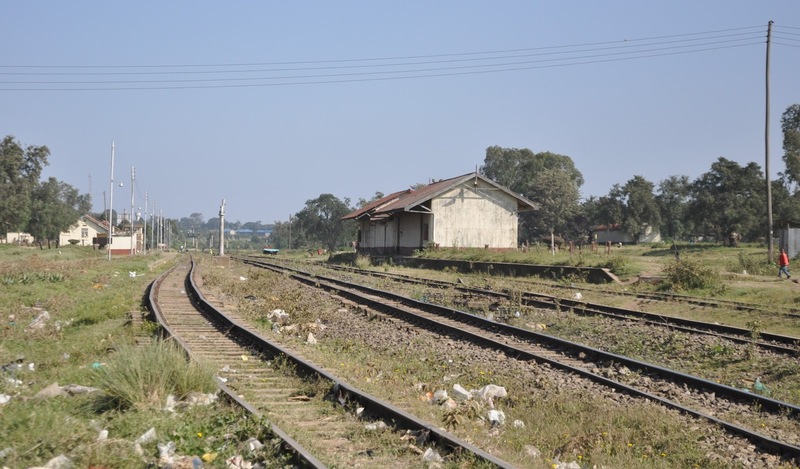 It is located 17.5 miles from Nakuru town and 7.5 miles from Gilgil town. 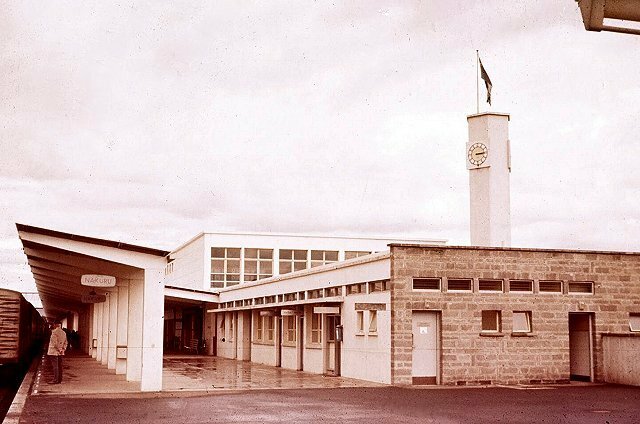 Inhabitants of Kariandusi settled in the area in early 1980s in the former Lord Egerton Cole and Lord Delamere ranches. The area has a well established tourism industry, with Kariandusi prehistoric site, Lake Elementaita, Several Hot Springs and booming hospitality industry providing the economic growth for the area. It sits close to the lake and under the significant local peak know as Table Mountain. The prehistoric site is amongst the first discoveries of Lower Paleolithic sites in East Africa. There is enough geological evidence to show that in the past, large lakes, sometimes reaching levels hundreds of meters higher than the Present Lake Nakuru and Elementaita, occupied this basin. 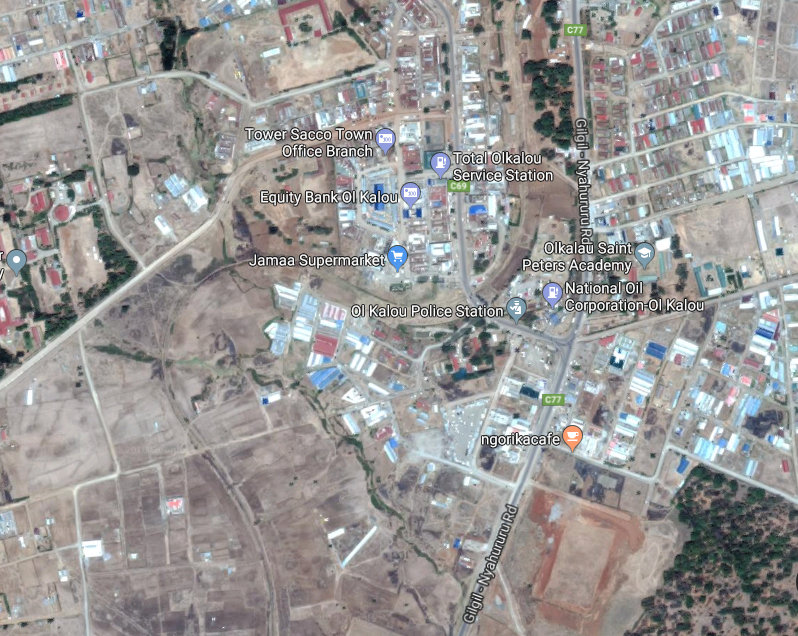 Dating back between 700,000 to 1 million years old, Kariandusi is possibly the first Acheulian site to have been found in Situ in East Africa. Dr. Leakey, a renowned paleontologist, believed that this was a factory site of the Acheulian period. He made this conclusion after numerous collections of specimens were found lying in the Kariandusi riverbed. This living site of he hand-axe man, was discovered in 1928. A rise in the Lake level drove pre-historic men from their lake-side home and buried all the tools and weapons which they left behind in a hurry. The Acheulian stage of the great hand-axe culture, to which this site belongs, is found over a very widespread area from England, France, and Southwest Europe generally to Cape Town. 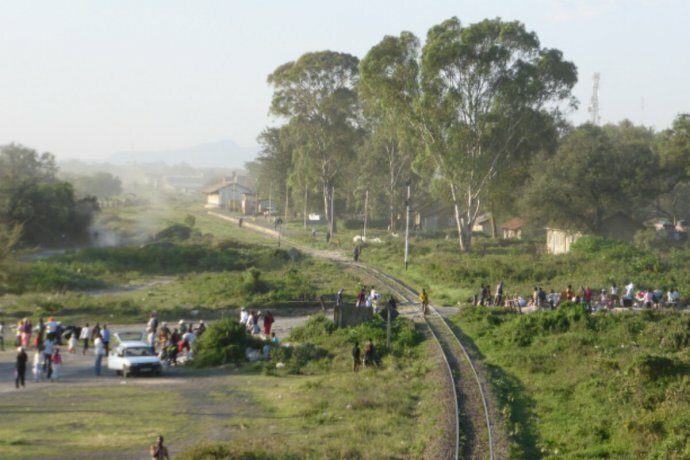 The image above is typical of the scenery in this area of the Rift Valley and is taken close to Mbaruk the next station on the line. 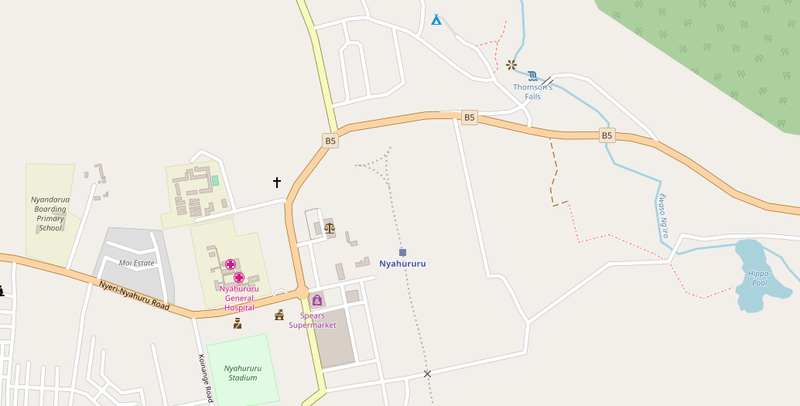 The satellite image below shows the passing loop and station at Mbaruk. 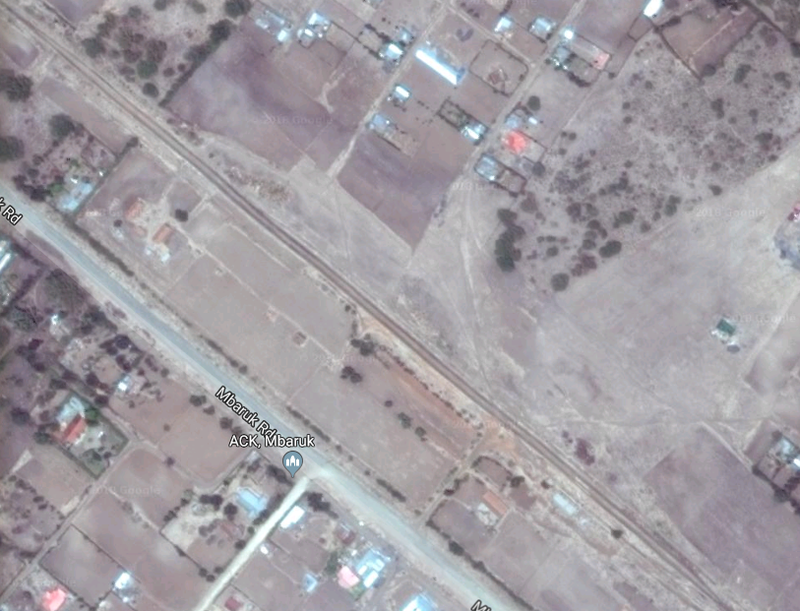 The last station before Nakuru itself is in Nakuru’s suburbs at Lanet and the location is shown in the satellite image below. 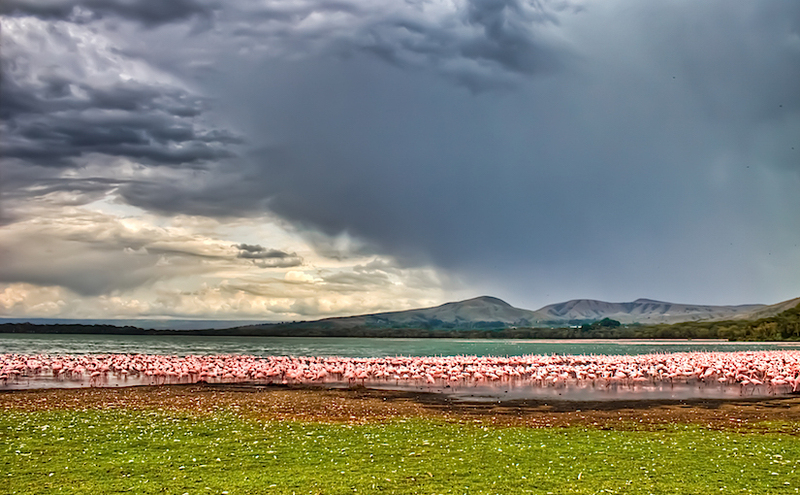 Nakuru is the final destination for this blog post. 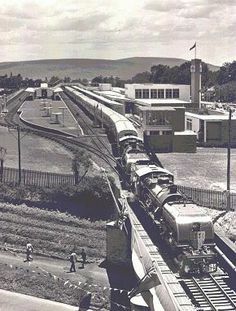 Nakuru was the most modern station on the line – complete with a public address system, colour light signalling and double track westbound between Nakuru East and the divergence of the former mainline to Kisumu. 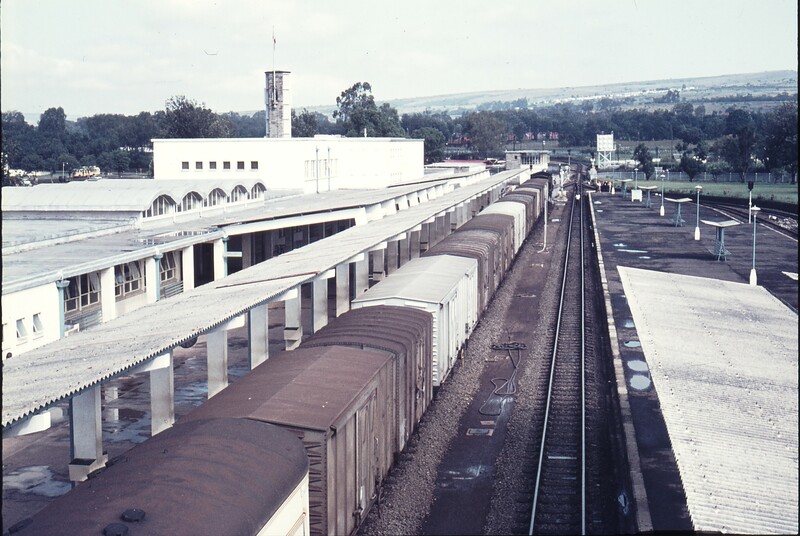 During stops at Nakuru passengers could buy refreshments, books and newspapers from a trolley which passed down the platform while the locomotive was being changed, © Malcolm McCrow. 111545: Nakuru Kenya 0920 Mixed to Kisumu 5812©Weston Langford. 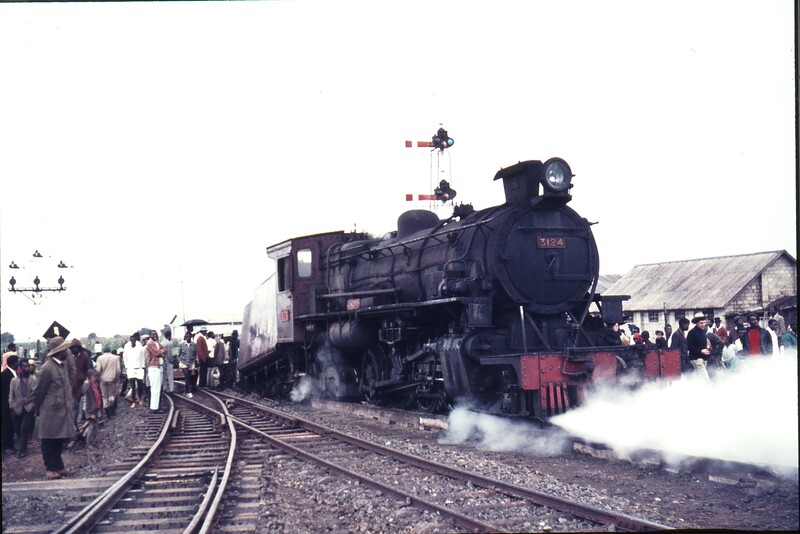 111546: Nakuru Kenya 0920 Mixed to Kisumu 5812©Weston Langford. 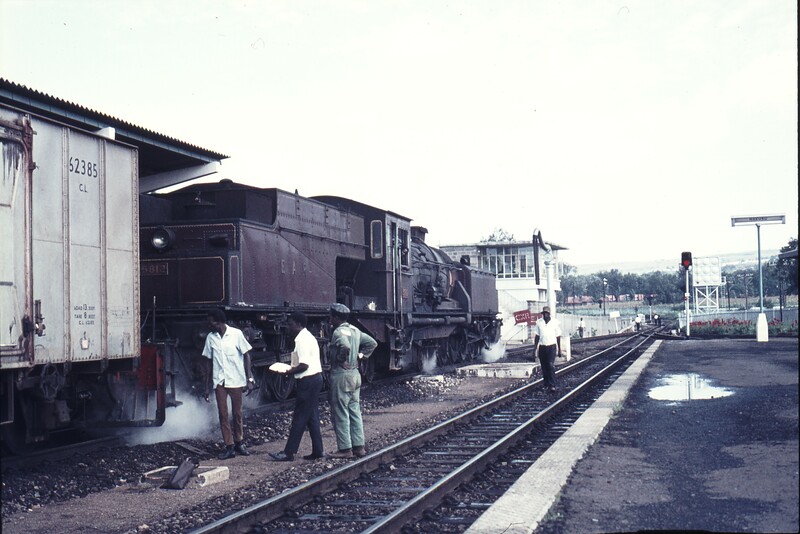 111547: Nakuru Kenya 0920 Mixed to Kisumu 5812©Weston Langford. 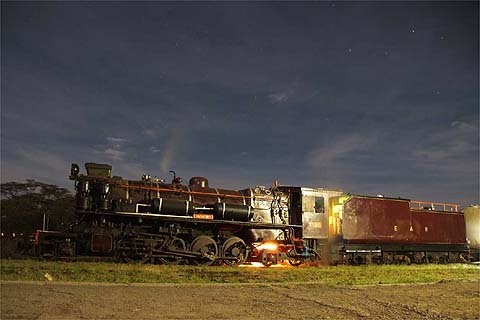 http://www.internationalsteam.co.uk/trains/kenya11.htm, accessed on 24th May 2018.
http://www.westonlangford.com, accessed on 25th May 2018.
http://jimstotherssabbatical.blogspot.co.uk/2013/08/sabbaticalday-19-12-august-correction.html, accessed on 25th May 2018.
https://innovation.journalismgrants.org/projects/chinas-train-to-african-development, accessed on 25th May 2018.
https://www.flickr.com/photos/156858441@N07/26344179857/in/photolist-G8WNRx, accessed on 25th May 2018.
http://www.shoestringgolfer.com/2011/11/gilgil-golf-club-great-rift-valley, accessed on 25th May 2018.
https://en.wikipedia.org/wiki/Nyahururu, accessed on 25th May 2018.
https://en.wikipedia.org/wiki/Kariandusi, accessed on 25th May 2018.
http://www.museums.or.ke/kariandusi, accessed on 25th May 2018. 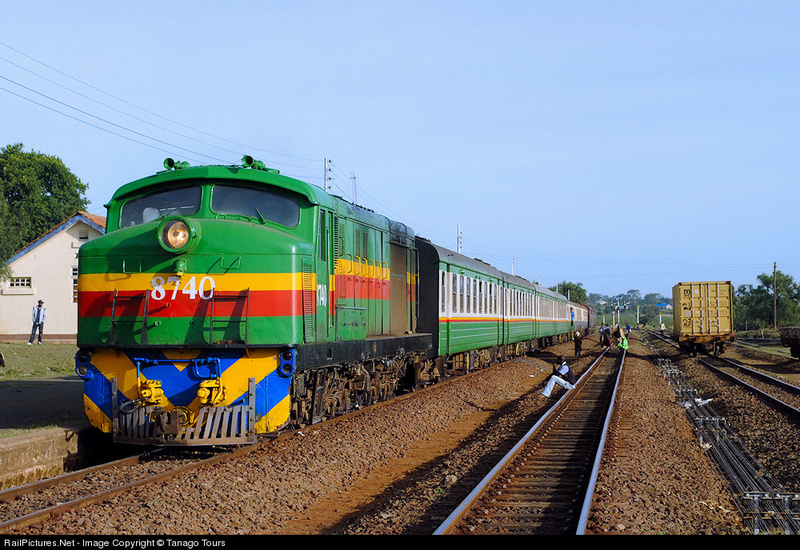 This entry was posted in Railways Blog, Uganda and Kenya Railways on May 25, 2018 by rogerfarnworth.